Because Suburban has the largest selection of New York wines in the NY Metropolitan area, we are able to attract small, artisanal New York vintners who do not choose to have their wines distributed by the major wine distributors, but are willing to deliver their wines to us to offer to our customers. They know that our customers understand and appreciate good quality New York wine! 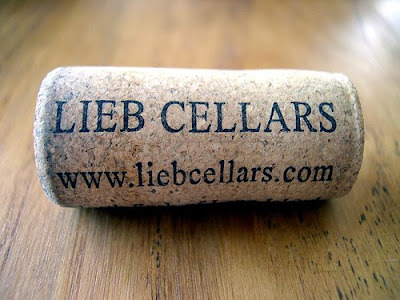 One such New York vintner with whom we have a personal delivery arrangement is Lieb Family Cellars, located on the North Shore of Long Island in Mattituck. Their signature wine is their Reserve Pinot Blanc, the 2007 vintage of which was recently favorably reviewed by both the New York Times and the Wall Street Journal. In his write up, NY Times chief wine critic, Eric Asimov, said, "I got a bottle of superb 2007 pinot blanc, made by Lieb Family Cellars on the North Fork of Long Island. What a delicious wine! It was dry and creamy with a captivating texture and a mere 12.5 percent alcohol."